Why Does Dr. Jill Bolte Taylor Support Anat Baniel’s Work and Method? If you’re looking for an inspiring career to help adults and children live fuller, healthier lives AND if you want to be at the forefront of your profession, become a NeuroMovement® Practitioner! The field of neuroplasticity is one of the fastest growing areas of scientific research. 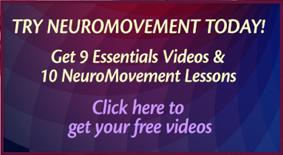 Anat Baniel Method® (ABM) NeuroMovement® is at the forefront of the understanding of brain plasticity principles, the centrality of movement, and other principles that promote breakthrough transformational changes. This Method offers innovative and highly effective practical applications of these principles for adults and children. In our Anat Baniel Method International programs, each trainee is personally supervised while in the process of developing the skills needed to facilitate transformational changes in others. 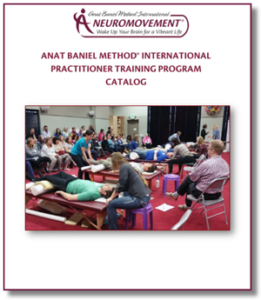 Practitioners of Anat Baniel Method® NeuroMovement® can integrate their knowledge and skill into their existing profession, such as physical therapy, massage therapy, nursing, pediatric neurology, integrative medicine, education, yoga, dance, music, etc…or work from their own private practice. Practitioners of the Method experience remarkable transformations in their own well-being and vitality, and in the outcomes they get with their clients. Perhaps most importantly, they experience deep passion and enthusiasm for what they do. Watch more videos of our students and graduates: Sharing Experiences and Outcomes with NeuroMovement® and Practitioner Trainings. Alternative and integrative approaches to healing, recovery, and health, like NeuroMovement®, are progressively being adopted and influencing mainstream medicine. Would you like to take your career to the next level and be at the forefront of your profession? Do you want to help your clients in transforming their pain and limitation into new skills and wellness? Become a part of the NeuroMovement®, Integrative Medicine, and Positive Brain Change fields by becoming an Anat Baniel Method® NeuroMovement® Practitioner.